There were some anxious moments for journalists covering the Presidency on Monday when they sighted former president, Goodluck Jonathan at the Presidential Villa in Abuja. Although no one was allowed to talk to him, it was gathered that he was on a private visit. 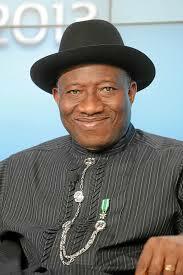 Dr. Jonathan was dressed in his usual Niger Delta attire. He arrived just before 2pm and headed straight to the President’s office. He spent about 30 minutes at the villa. Last week, the former president was in Tanzania where he led a delegation of Commonwealth observers to monitor general elections in the East African nation.